I'm just curious. Why aren't convertibles more popular and/or more readily available. I see so few of them even in the high-volume dealerships. I know it cuts trunk space from 15 to 10 cubic feet, but 15 isn't very much either. If storage is an issue, buy a sedan! So it can't be that storage is the issue. I agree a top-up convertible is not as cool looking as the coupe, but the way that top slips down into storage is very cool. Are there any obvious issues I'm missing here? Is it just GM limiting production, or are they simply not very popular? my first vette was a 76 white L 88 coupe with T-tops,,,, I couldn't afford a convertible vette then. Convertible's don't sell as many, plus the price is 5K more than the coupe. It's the same across the brands. You won't find as many Mustang convertibles on Ford lots as you do coupes. You either want a convertible or you don't, and there isn't as many that do than don't. There isn't much in between. 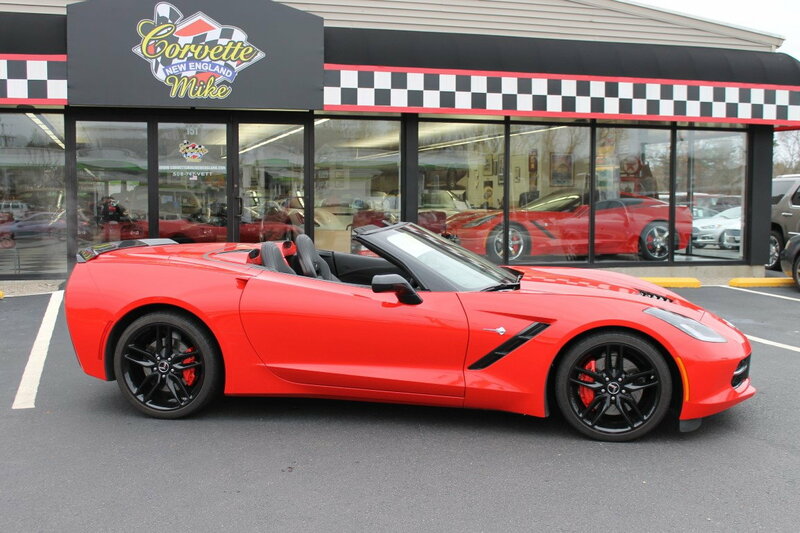 I understand the question as all I drive is a Corvette convertible, and it's quite difficult to find one optioned the way I want on a dealers lot. Convertibles ruin the lines of the car in my opinion. Instead of the nice fastback it has a unnatural line to the car when looking at the profile. Also I can remove my top and basically have a convertible and still maintain the fastback lines. Also convertibles add weight and always seem to let more sound in. 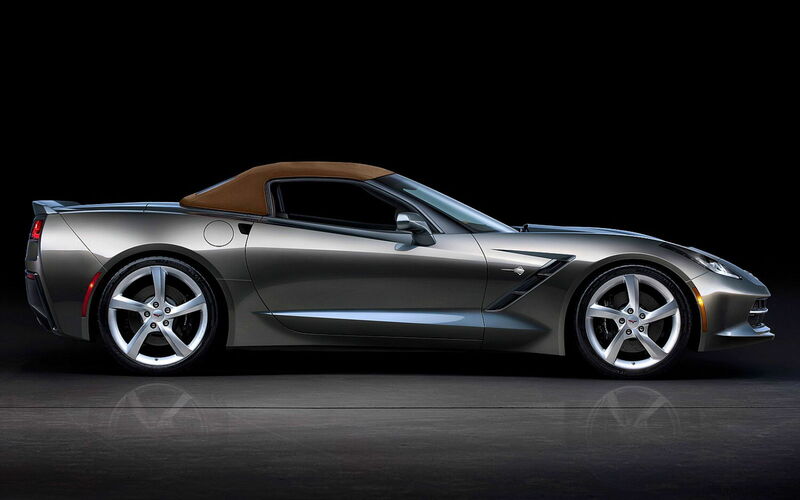 Convertibles serve one demographic, and on demographic only....period...at least in the Corvette's case. Put another way, if I were forced to own a Corvette convertible, I'd have foam on it within a week and would be creating a custom hardtop and yanking out the guts of the vert top. Hey...don't shoot the messenger...tell her, not me! For me, it's this. + the reduced storage. No, I can't get a sedan just for storage. I especially like the vettte over certain competitors with similar performance because the extra space in the back lets one throw in a couple suitcases with no trouble at all (unlike the damned F-Type trunk which is slightly smaller and oddly shaped). Dealers stock and GM sells what the buying public wants. There is no secret limit or anything. There are just fewer buyers who prefer a convertible, it's that simple. While top-down driving on a mild sunny day really can't be beat, there are downsides to a convertible compared to an otherwise identical coupe. Convertibles are more expensive, noisier and less secure than coupes. I also prefer the look of the coupe. And, where I live there just aren't that many days per year when I would want to put the top down, or take the top of my coupe---it's either too hot or too cold. My wife, on the other hand, is a convertible person. When she drove one, she put the top down every day it wasn't raining. In the winter, she would wear her coat and gloves and crank the heater. In the summer, she'd blow the a/c on her face. Last edited by Indy-hp; 02-22-2016 at 02:06 PM. Convertibles are stocked at the volume dealerships much heavier in the spring and summer months. Arguing which is better is like arguing over chocolate and vanilla. I've owned 3 verts and one coupe. The vert wins. I need to add...If you enjoy the top down or in the case of the coupe, top off driving experience with breeze blowing through and the music blasting on a scenic drive, the convertible is a pleasure with just a button to press for the top up and down especially when doing errands around town. I read in almost disbelief the number of corvette owners that rarely take their targa top off and obviously why would they want a convertible if they don't even take the targa top off. 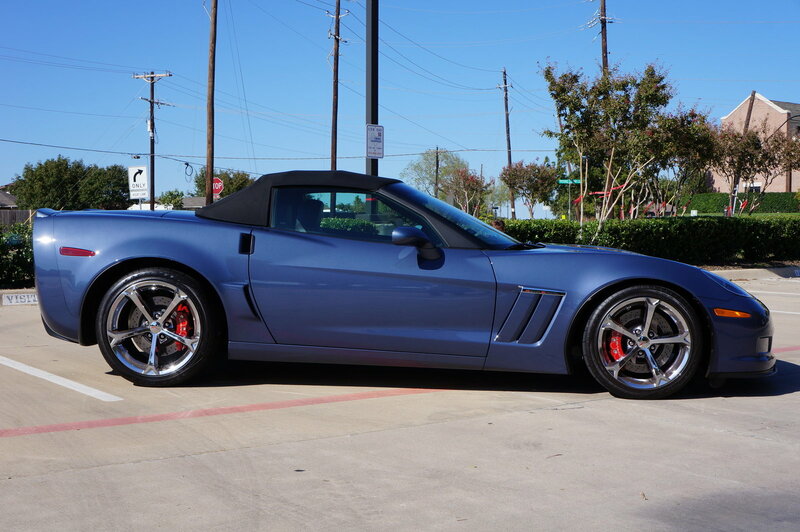 To me, a good part of the fun of owning and driving a vette is the top down driving experience. Last edited by direct007; 02-22-2016 at 03:03 PM. Had both. Love the Vert and you don't loose any luggage space when the top goes down. Wow, your open minded gf is a real peach. You evidently feel the same way based on your first sentence. 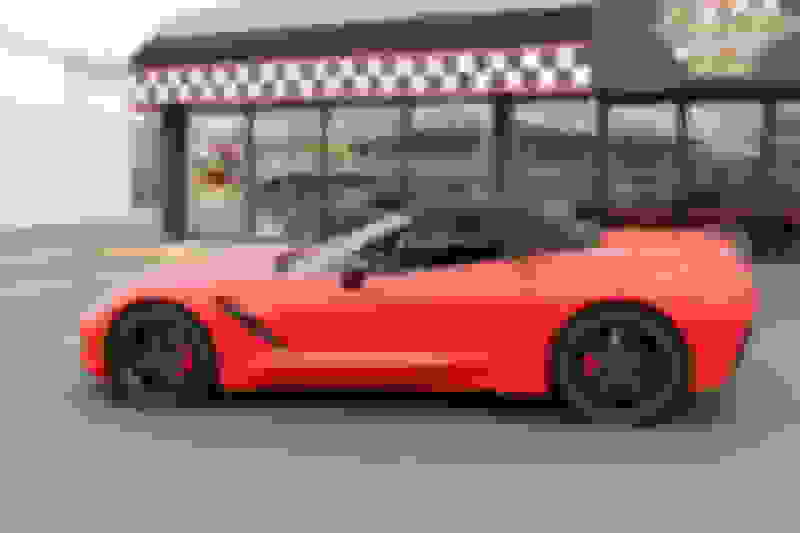 I'm not sure what made you both such a hateful people, but to say that there is "one demographic, and on demographic only....period...at least in the Corvette's case" shows a real lack of intelligence. How do you know what motivates a person to buy the car that they do? Please enlighten us! This is evidently a "one size fits all" kind of car in your mind. I imagine if the roof weren't removable on the Coupe, then they might sell more Convertibles. I owned one convertible (Miata), and hated driving with the top down, not my cup of tea, but to each his own. Beautiful! Love the license plate, too! This topic is getting hilarious. I don't think the guys in Florida feel the same. There is no other sports car I would own. Verts give you a full sense of freedom, but many feel the extra expense, they believe they are broken into easily by slashing the top, they feel during the winter they are cold, they believe they leak, and they are noisy. All of which are not true. Sure you can slash the top, but its not as easy as it sounds....think about it. One drawback to verts, when it gets hot out, the top down is not a good idea, as it get hot and AC is so much better. I think the general consensus is that with the coupe you get the best of both worlds: a good looking hard top when the targa is on and a convertible (almost) when it is removed. 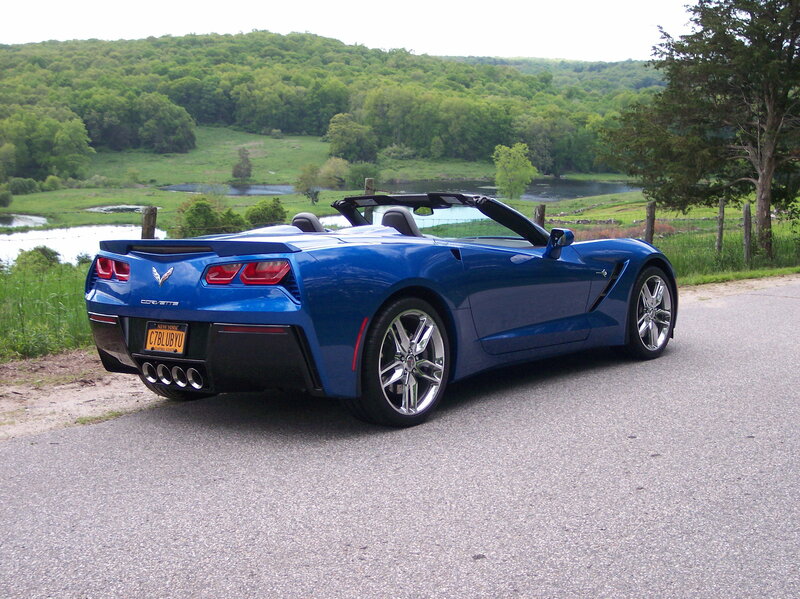 With the top up its hard to argue that the C7 Convertible looks anywhere near as good as the C7 Coupe. 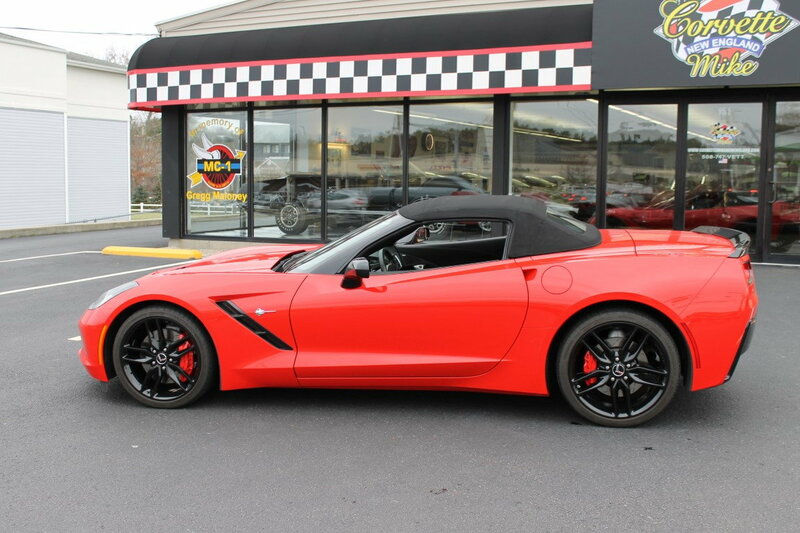 With the C7 Convertible top down vs a Coupe with the targa off, that's another matter. When comparing the C5/C6 vs the C7 convertible you can see the Corvette Team wanted to improve the top up look of the C7. Subtle difference but better IMO. But those Coupes sure are exotic looking.